Plenty of fish. The name of this dating site hardly suggests unique value and authenticity of an individual. If you don’t like someone, no worries, just discard them, there are millions out there waiting to be found. The idea of being easily replaceable makes people feel insecure and unnecessary. I remember reading one of Kurt Vonnegut’s novels about ten years ago, the following episode shocked me: government was concerned with its citizens, who became so abundant with no jobs and losing meaning that a quick service for taking people’s lives (volunteers) was allowed. All you need to do is to go to a special life-ending station ( like a tanning salon place) and as a bonus you would get a good meal before you say farewell… It was totally Ok, because no one really cared about one another … Does it sound like too distant future, too sci-fi now? Well, the first part about too many of us, lack of jobs and less meaning is true, the second part got modified: some people don’t need a meal to be motivated or a third-party service, they do it themselves. Some would argue that religion will save us all, but being religious doesn’t really guarantee your life has more meaning. It’s not something that comes by default when you are born into religion or you follow all rituals. You prove that you are a decent human based on your actions towards others, no matter what religion. Religion helps some stick to concrete rules and whether this world’s massive ups and downs, but unfortunately not all religious people are truly compassionate to others. If they were, we wouldn’t have religious wars. People do become rigid by trying hard to defend their beliefs, but why would they do it at the expense of others? Why hurt and discriminate others just because they don’t share your views, whether they are religious or not. We forget that what really unites us is the fact that we are humans, and we should not differentiate from one to another and divide ourselves into subgroups. We just get lost in the models we create for ourselves. What if we all disappear together with the planet today? What would we say was the point of us inhabiting this planet for 10,ooo or more years ? I truly hope that we, mammals or divine creatures, are heading somewhere where we don’t hurt but care for each other and create spiritual and physical environment that not just humans but other species can thank us for. There are more than six billion of us now, no wonder that each of us is not that valuable anymore, or at least it feels that way. It is almost like being a commodity, when supply is high, but demand is low. Depreciation of our value comes from many factors, including globalization, advanced technology and social norms. More and more we feel ourselves easily replaceable. Think of restructuring, lay-offs and outsourcing. You don’t like you job or your salary? No worries, we’ll find your replacement in a heartbeat, there are a lot of you out there. Suddenly you are no longer needed. Now it is called lean, flexible and streamlining. Even if you have a job, do you really feel it is meaningful? Does your organization bring real value to the world? Are more people happier because of what you do or is it the other way around? Do you feel like your skills and talents are aligned with job responsibilities? How many people hate their jobs, but think that there is no way out? They have huge bills to pay and it is hard to find another job. Millions of people are stressed because of all of that, whether they have jobs or they don’t. The majority of jobs lacks any creativity, does not utilize our talents, gives no freedom and incentives that are structured incorrectly. Then many organizations have vague mission statements, which are useless. Do you ever feel like a small piece of a big mechanical machine that would run perfectly without you? It is mainly because we don’t get appreciated or valued for what we really are – live humans with our own ideas and desire to be useful. Technology makes things easy, but unfortunately we don’t appreciate what we get without effort. That doesn’t mean we don’t need automated processes and tools, etc. It just means that we can’t apply them to everything in our lives, because then we wouldn’t feel worthy of anything. We can’t eliminate all effort altogether, so that life is super easy. What will be the point of even getting up every day if everything could be automated? 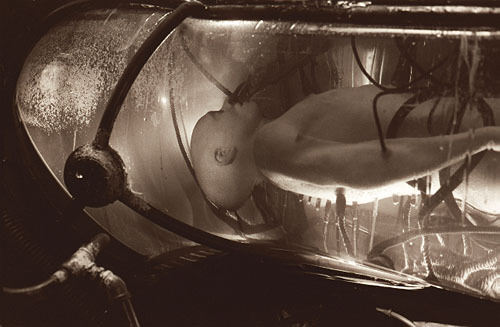 If technology does it all for us, imagine The Matrix but according to our own will: we will just stay in beds and our atrophied physical bodies will be connected by tubes and cables to the machines. Our meaning and value will be zero, except for body heat. How good is it for a life with no effort?